This was a fun book to read for my second review. I promise this won’t just be a review blog, but I do like reading books so this isn’t a hard task! I wasn’t familiar with Janice Thompson before getting this book in the mail and I’m not sure why. She writes fun characters and fits right into the Christian Chick-Lit genre that I love to read. This book is a continuation of the Weddings by Bella series (which I am now going to read) and still stands on its own so you don’t need to read the previous books to understand what it going on. 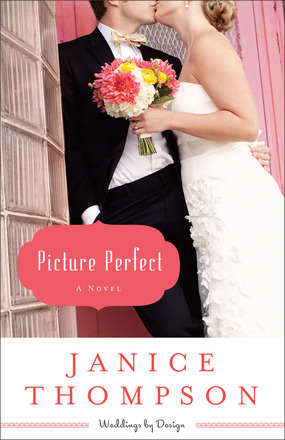 Set in Galveston, TX, Picture Perfect follows the life of a young photographer trying to make her way into the wedding photography industry. It’s the classic girl-still-single-meets-good-looking-single-man story. The main character, Hannah, is Irish and so the book is written around a ton of old Irish sayings. I still can’t decide if it was overused or endearing. One other thing I enjoyed about this book is the second story line with Hannah’s parents. Normally this type of book will just focus on the romance of the main character. Picture Perfect also dealt with her parents finding themselves as they became empty-nesters. It was a nice addition to the book overall. I came away from this book wanting to visit Galveston Island and wanting to read more from Janice Thompson. She’s definitely an author that I would recommend if you are wanting to pick up some fun, easy, reading.